We are pleased to announce Tyson Estes’ debut exhibition: tinseled – an abstract introspective on the magic behind the silver screen. 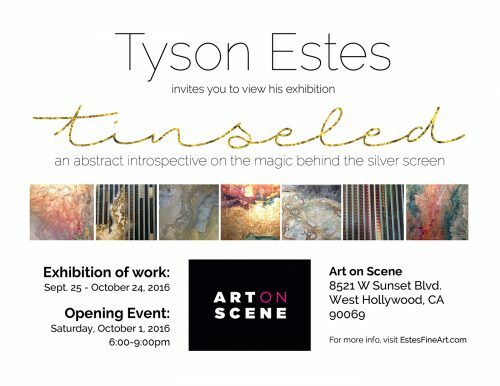 tinseled is being hosted by Art on Scene in West Hollywood, and will run from Sept. 24 – October 23, 2016. Click on the flyer image to see the full-size, printable version. If you have any questions, please contact us.